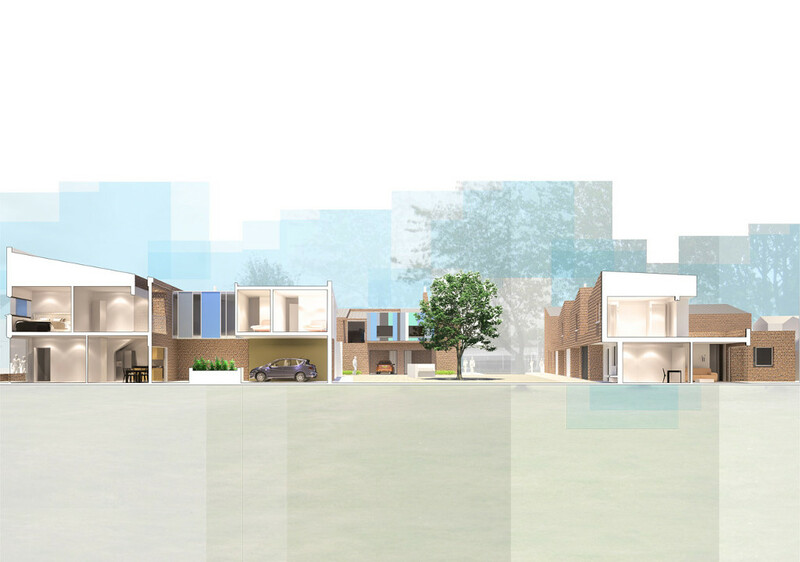 A competition proposal for the design of a prototype development of family housing which has the potential to adapt as aspirations and needs of residents change. 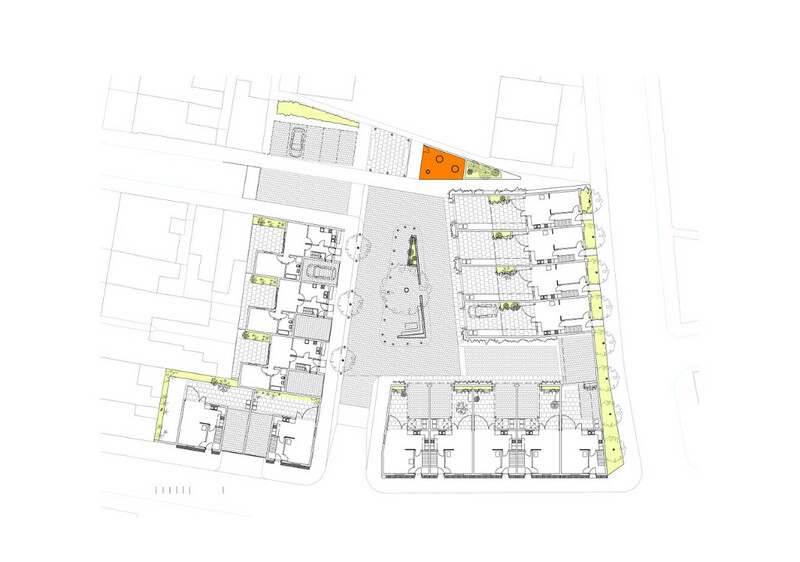 Fourteen homes are grouped around a central public space which includes a children’s play space and seating area, creating a sense of place in the heart of the development. 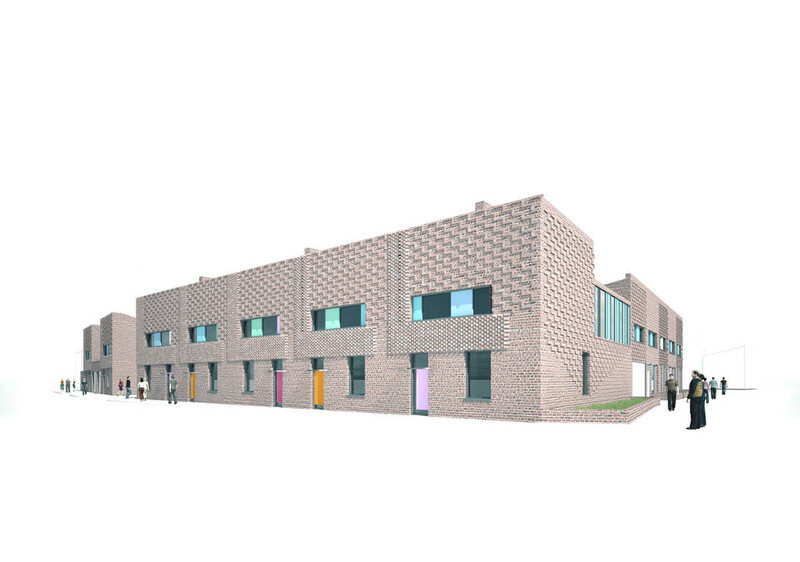 The scale of the houses and the use of brick draws inspiration from and harmonises with the local Victorian housing, with distinctive patterning and colour used to characterise the individuality of these dwellings.